Believe it or not, some people still build things beyond the virtual world. You know, like, barns and garages and things of that nature. And guess what? The material of choice is no longer wood. If you want to be savvy with your next architectural project, International Buildings will hook you up. International Buildings is the premier place to purchase metal building kits and prefabricated steel to build your next commercial, residential or agricultural project. With various sizes, shapes, finishes, colors, and seriously low pricing, International Buildings features do-it-yourself kits or get it custom made to accommodate your steel structure needs. Oh yeah, and there’s a 50 year manufacture warranty. That should put your worrying building mind to ease. Basically, steel is king. For your next building project, you should probably leave the wood to the termites. The answer is pretty much anything. 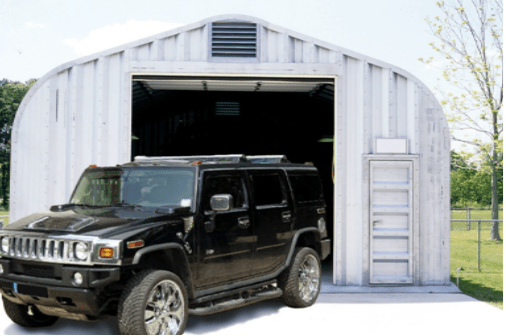 From residential buildings like garages, homes and workshops that protect your vehicles and belongings, to commercial buildings like retail stores, storage and repair shops, International Buildings‘ steel structures can house just about anything. Heck, you can even build a church. Amen for that. One of the biggest advantages of steel (and one that consumers seem to very much appreciate) is the green qualities. It’s a sustainable material that’s super eco-friendly. International Buildings’ motto: Building Green to Make a World of Difference. Needless to say, the company has developed a network of very pleased customers. Check out their glowing customer testimonials. The site features a map that gives you the benefits of steel structures in selected states based on certain conditions such as weather, and also offers weekly specials for that state. 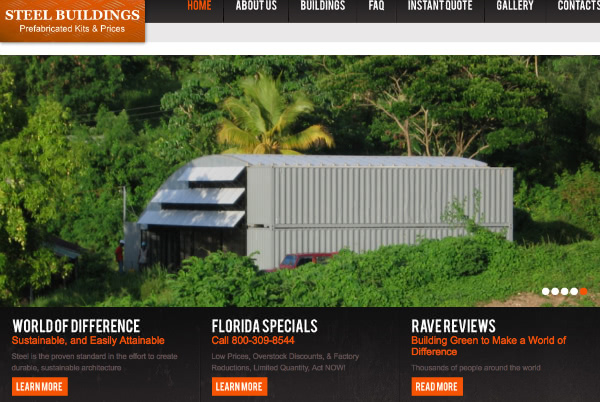 If the site doesn’t convince you of the steel building advantage, well you’re just stubborn! So, my fine structure-building folks, for your next commercial, residential or agricultural project, make sure you check out International Buildings to get an instant quote and get steel inspired. I’m telling you, the site has got me thinking about what I can build. If only I had a back yard.